French mathematician and maker of globes and scientific instruments. In 1681 he opened an atelier on the Quai de l'Horloge at the sign of the Quart de cercle. His official title was Ingénieur du Roi pour les instruments des mathematique. 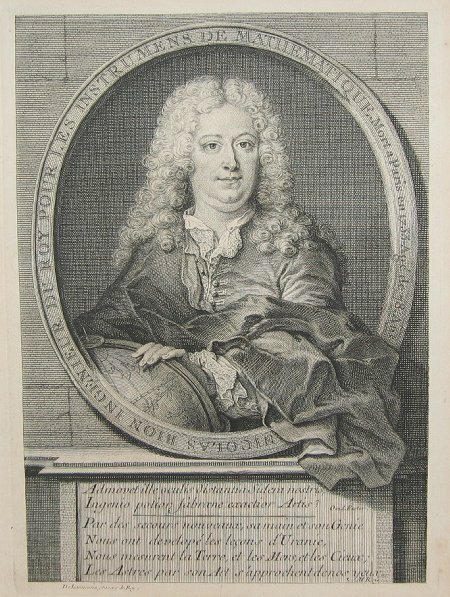 Author of two important works : L'Usage des globes celestes et terrestres, et des spheres, suivant les différents systèmes du monde [Paris 1699] and Traité de la construction et des principaux usages des instrumens de mathématiques [Paris 1709]. Both works proved highly popular and were translated into a number of other European languages. His son, Jean-Baptiste Nicolas Bion, also became Ingénieur du Roi and took over the business from his father in 1731. Jean-Baptiste Nicolas married the daughter of another Parisian globe and scientific instrument maker, Jean-Baptiste Nicolas Delure.